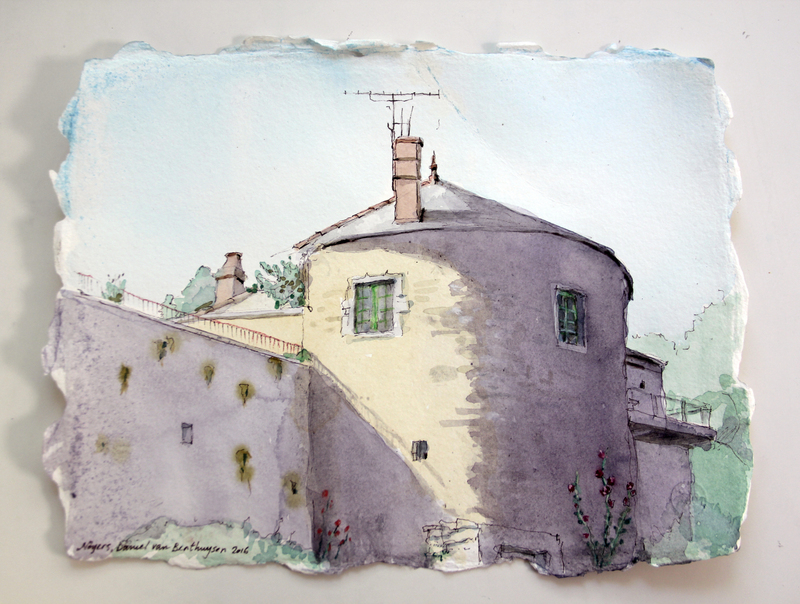 I've added a gallery to display the watercolor work done this summer during and after a residency at La Porte Peinte in Noyers-sur-Serein, a delightful medieval village in Burgundy with a small but lively, creative and intellectual population. It doesn't hurt that there are two or three equally wonderful restaurants in this little town. Although I've worked primarily in oil en plein air and in the studio for the last ten to fifteen years, it seemed impractical to try to continue in that mode for a trip that would involve transatlantic travel. Had I been scheduled to be there all summer I might have stayed with oil and arranged to ship those things not yet dry when it was time to leave. But I spent years working in watercolor and this seemed like the excuse I needed to reconnect with that medium. With the imminent closing of New York Central Art Supply and its world renowned collection of hand-made and exotic papers, I bought up various sheets that I might never again have the chance to experiment with and took them along. To be sure, I painted almost as much on traditional mainstream watercolor papers. But I also tried several, some of which are clearly NOT designed for watercolor. But even these, perhaps because they were not designed to withstand the repeated washes of watercolor, challenged me to simplify and make my work as economical as possible. I hope you like them. 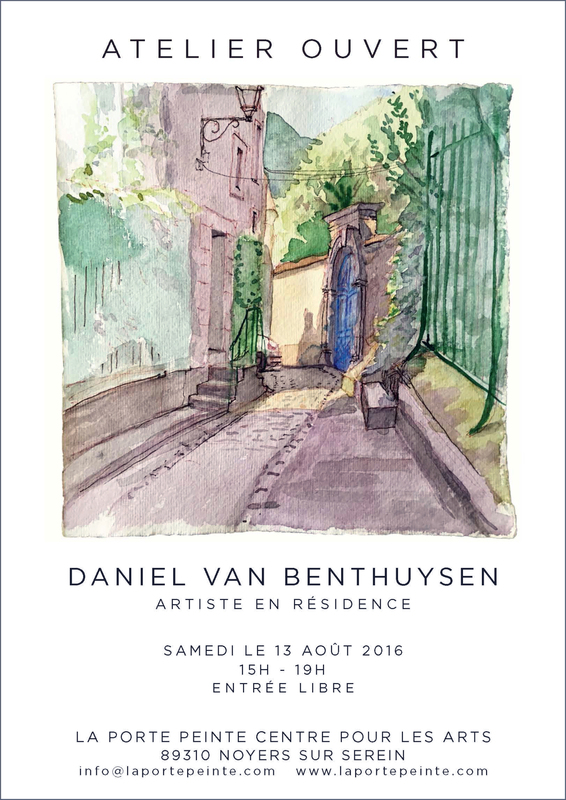 My residency eneded with an open studio (this sounds so much better in French: Atelier Ouvert) on the last Saturday afternoon of my stay. I had been warned that "nobody ever sells anything here during an open studio." 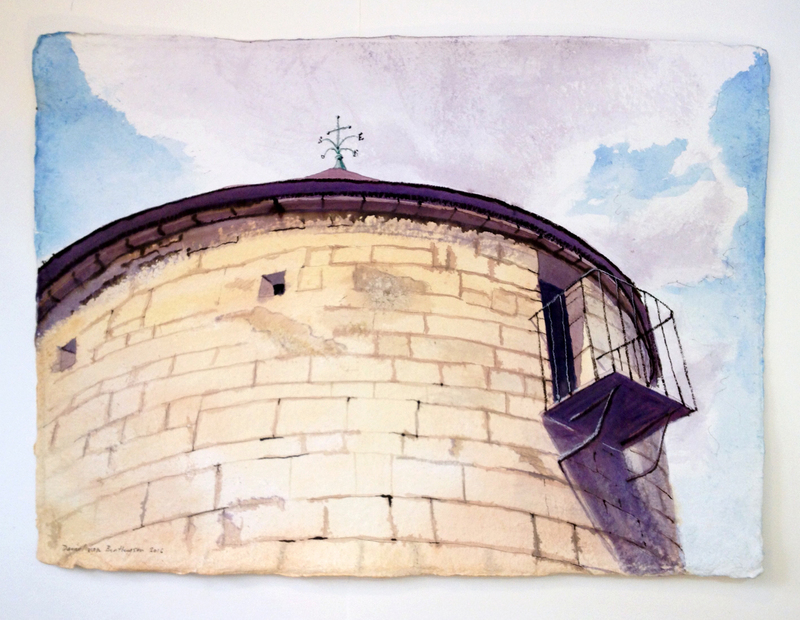 But several of my pieces did indeed sell, including one painting of a tower, sold to a Jazz musician who said that he had been moved years ago by what New Yorkers suffered when the Twin Towers collapsed in Manhattan and now found it poignant that a New York artist would be painting the crumbling towers in his own little village. I was grateful for the perspective he shared looking at my art.